We offer a variety of barricades and accessories designed specifically for use at airports. 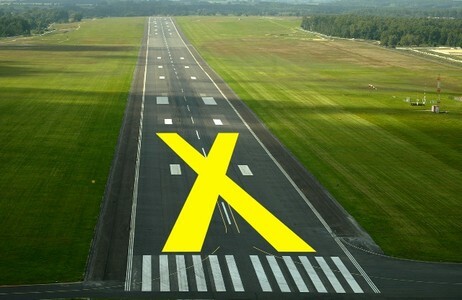 These include low-profile airport barricades, which can withstand the high winds created by planes taking off; airport flags; and giant airport runway closure markers that are easily seen from the air. Let us know a little bit about your project, and we can help you find the airport barricades and accessories that suit it best. Click here to contact us for more information or to get a free quote. Hems are reinforced with poly twine. 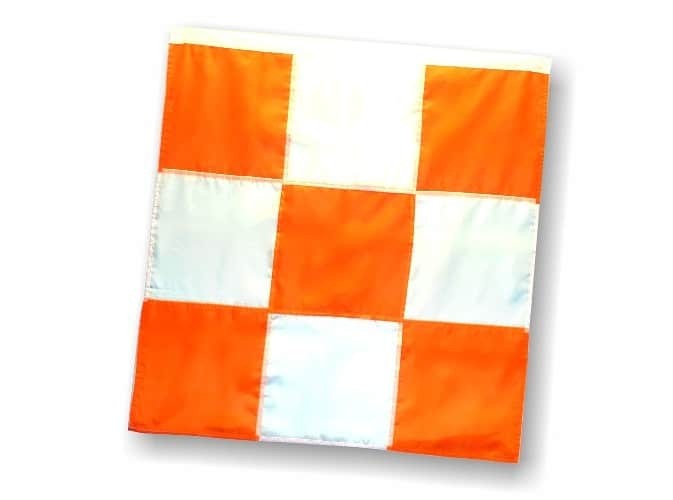 Orange and white sewn nylon airport flag. Designed to withstand the high winds in airport construction zones. Orange and white reflective sheeting on both sides. Accepts two round or square-mounted lights and two flag sockets.